Marguerite Eleanor Read bequeathed $100,000 from her estate to the College of Pharmacy and Nutrition to establish an award in memory of her brother, Charles Henry Kouri (BSP 1957). The Marguerite Eleanor Read & Charles Henry Kouri Memorial Award will provide financial assistance to students pursuing a pharmacy degree who have demonstrated financial need. 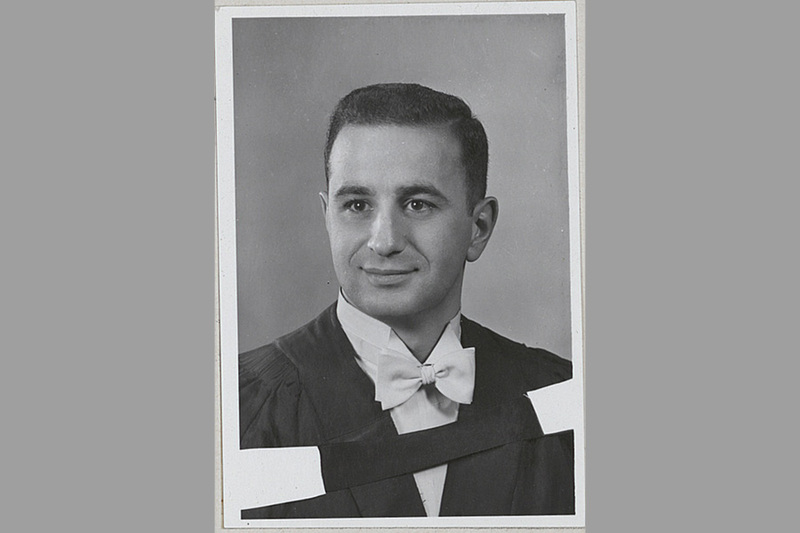 After receiving his pharmacy degree, Kouri moved to Ottawa where he lived for more than forty years. He purchased Lynwood Pharmacy in the suburb Bell's Corners in 1965, and owned three pharmacies at one time. He was actively involved with the Ottawa area alumni and proudly wore his university ring. Kouri passed away on August 6, 2009 in Moncton, New Brunswick. Read lived in Regina for most of her life and passed away in Calgary on January 31, 2017.